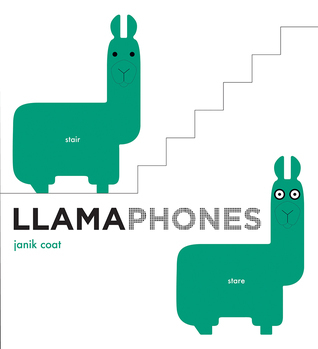 In the third installment of Janik Coat's board book wordplay series featuring animals, young readers are introduced to the concept of homophones with the help of llamas. Includes bold art design and tactile elements. Clever and funny! Probably best with a child who already reads which makes me wonder if the Board book format is the best choice. I think as a lapbook with an adult to help with the reading this could be excellent with a pre-reader too. This is the most awesome book I've ever seen. Okay, maybe it's not quite *that* awesome, but it is very, very, very funny, and I intend to push it into as many people's hands as I possibly can. Janik Coat - Janik Coat is an author, illustrator, and graphic designer. She works extensively with agencies, collectives, and various French publishers. She is a frequent guest speaker at fine art schools and regularly exhibits her work in galleries. She lives in Paris.